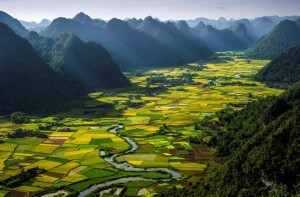 Vietnam is one of the fastest developing nations in South East Asia. Because of its location alone, it has been a magnet for foreign direct investment. But there is more to Vietnam than its advantageous position at the center of Southeast Asia: it is expected that by the year 2020, Vietnam will be a global industrial center supported by stable political and social environments, a developed transport system, strong infrastructure, and a workforce which will be in the midst of the transition from unskilled to skilled labor. Vietnam’s regional focus for industrial development is in the southeast – around the Mekong Delta. The area is already one of Southeast Asia’s largest food exporting regions, producing fruit for much of the region. Currently, Ho Chi Minh City is the most developed city in the area; however, if plans are realized, in less than a decade, the city will be just one of several urban centers involved in a variety of economic activities industrial and commercial in nature, as well as in research and development in science and technology. The region is also being developed as a hub for trade and transportation, and by many projections, it will be extensively industrialized within the next few years. To support the push for growth, Vietnam’s government is investing heavily to dramatically improve its transit systems and energy production. National and provincial roads are being upgraded and expanded to better link Ho Chi Minh to the rest of the country. Since Ho Chi Minh and the Mekong Delta region are the heart of the vision for an industrialized Vietnam, moving goods and people quickly and efficiently to and from the region is of paramount importance. Increased capacity from coal, thermal and hydroelectric power stations will support this growth, and several stations are on track to come into service by 2015. There is one stumbling block to achieving Vietnam’s lofty goals for the Delta: a shortage of skilled labor in rural areas. Up to 70% of the local labor force has yet to receive any vocational training and unemployment and underemployment is still high at around 20%. The labor shortage remains the biggest hurdle to the region’s growth, but it also represents a massive source of untapped potential. According to Vietnam’s Ministry of Labor, vocational training in the area has increased rapidly in recent years, with the addition of 10-12 universities and 11 vocational training colleges. If labor development is successful, coupled with growth in infrastructure and commerce, Vietnam could find that it has the tools necessary to fully unlock the region’s potential. The Mekong Delta already contributes 18-19% of Vietnam’s GDP, and the government has targeted a growth rate of 10-11% for the region. Investors have recognized the value that has yet to be unlocked from the Delta, and Vietnam as a whole, and with the inflow of capital and investment, it is exciting to see what the region will be like in just a few years’ time. Starting a business in Vietnam can be difficult for foreign entrepreneurs but this is expected to improve as the government is likely to further streamline company registration requirements and processes become more efficient. Nevertheless, the benefits to setting up shop in Vietnam definitely outweigh any costs, and the growing market and developing economy, backed up by an increasingly skilled labor force and extensive infrastructure, will surely be a boost to a business wanting to expand within the region.